Members of the Assyrian Democratic Movement who dedicated their lives for the Assyrian national movement. Martyr Esho was born in 1961 in the town of Simel, Iraq. He graduated from the Industrial Institute in Dohuk. 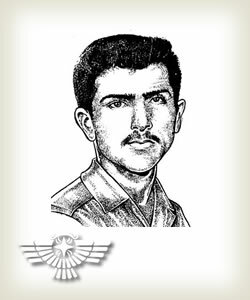 Joined Zowaa on 2/16/1985, and was martyred on 7/15/1985 while performing a daring operation crossing the Zab river in Northern Iraq. 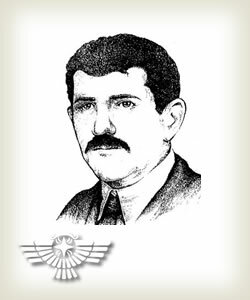 He was a talented artist who contributed generously to the Assyrian nationalist cause. Francis Shabo was born in 1951 in the village of Mangesh, Dohuk province. He completed his college education in the University of Mosul, graduating in 1975 with a Bachelor's degree in Civil Engineering. His professional career included many successful engineering and managerial positions. The latest of which was Manager of Department of Water and Sewage in Dohuk. Martyr Francis was an exemplary Assyrian citizen, humble, industrious, diligent, and faithful to his nation. His belief in the unification of his nation and its just cause, were inspirations to his participation in the state of The Assyrian Democratic Movement during the 1992 elections for the regional Parliament. In the Parliament he was a member of the Economic and Financial Affairs Committee, and Committee for Planning, Development, and Census. He was active in the subject of our peoples national unity, and the overtaking of lands in our villages and areas. God bless his soul. 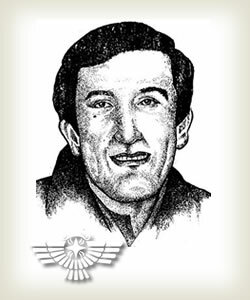 Martyr Jamil was born in Baghdad, Iraq in 1953. His Assyrian political efforts began in 1976 by working in an underground organization in Baghdad. He joined Zowaa from its foundation and later joined the armed struggle in 1982. He was one of the political and military cadres, beloved by the area people. He led many operations by entering Dohuk city and performed regulatory and military duties despite the presence of the military regime and security forces. He led a suicidal operation to defend residents of Hejerke village in Simel and was martyred on 12/4/1984 during this operation. The suicidal operation saved 26 civilians from the hands of the cruel military machine of the Iraqi government. He was known for being a humble revolutionist who was always willing to give all he had for his nation. God bless his soul. 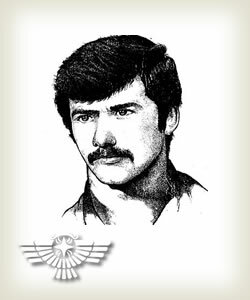 Martyr Raphael was born in 1946 in the village of Blijani in the province of Dohuk, Iraq. He joined Zowaa in 1982, and became an effective link between the military and the political branches of Zowaa. He was arrested in 1987 after the brutal authorities surrounded his house. He spent one year in the notorious prisons of the Iraqi regime, and was hanged on 1/7/1988 in Abou Ghraib prison in Baghdad. His entire village was destroyed as a consequence of his nationalist activities. He left behind a large family of eight people. Martyr Raphael was extremely clever, intelligent, and a brave nationalist who was not intimidated by the ruthless Iraqi authorities. God bless his soul. Martyr Sheeba was born in 1956 in the village of Baabel'oo in the province of Dohuk, Iraq. He joined Zowaa in 1983 in order to satisfy his nationalist spirit. He joined martyr Jamil in the suicidal operation to defend residents of Hejerke village in Simel. During that operation he was martyred by his own gun after being severely wounded by the enemy. After his ammunitions finished, he laid next to martyr Jamil soaked with blood on 12/4/1984. Martyr Sheeba was always willing to sacrifice his life for the sake of fellow Assyrians. He will always be remembered as an unselfish nationalist. God bless his soul. Martyr Youbert was born in 1954 in Habanyia, Iraq. He graduated from Baghdad Technical College with a Bachelor's degree in, Mechanical Engineering, and later practiced his degree while working as an engineer. He was one of the founding members of Zowaa, and had held key leadership positions. His political efforts began in 1971 in Baghdad. 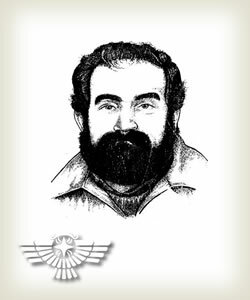 He was arrested by the authorities in Baghdad on 7/13/1984, based on information provided by some traitors in our community. While in jail, he was subjected to various physical and psychological torture and stood strong refusing to cave-in to his captures' demands of denying his nation and releasing information on his fellow nationalists. He was hanged on February 3, 1985, without a legal trial. He was a nationalist that was dedicated to his nation, and was known to be a humble person who gained the respect of many fellow Assyrians. He had set the standards on steadfastness and devotion to the Assyrian nation. He left a wife and 2 children (Banipal & Ramen). God bless his soul. 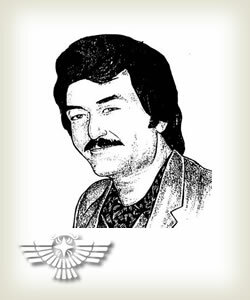 Martyr Youkhana was born in 1946 in the village of Hamziya in the province of Dohuk, Iraq. He worked as a general contractor in Baghdad. He was recruited in Zowaa since its inception, and worked relentlessly for the national cause which led to his nomination to a leadership position. 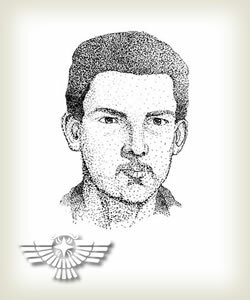 He was arrested in Nineveh on 7/17/1984. While in jail, he underwent the most savage treatment under the hands of the torturous regime in Baghdad. He was hanged on February 3, 1985, without a legal trial. He had a strong personality and was committed to his nation and it's nationalist path, and never compromised on his nationalist principles. God bless his soul. Martyr Yousip was born in 1951 in Kirkuk, Iraq. His parents came from the village of Blijani in the province of Dohuk. He graduated from the University of Sulaymania with a Bachelor's degree in Physics, and later practiced his degree while working as an engineer. Yousip was one of the founding members of Zowaa, and held key leadership positions. His political efforts began in 1970. He was known of his strong personality and high refinement, and participated in putting the ideological line of Zowaa. He was arrested and jailed by the fascist regime in Baghdad. While in jail, he was subjected to various forms of physical and psychological torture. He was hanged in Baghdad on February 3, 1985, without a legal trial, after refusing to bargain on quitting his principles, he acceded the gibbet hailing the victory for our nation's fair cause. His love for his nation and homeland was tremendous, and he had realized that the nationalist path requires dedication, hope, and perseverance. He was a source of motivation for many. He left a wife and 2 children (Ninib & Nina). God bless his soul. 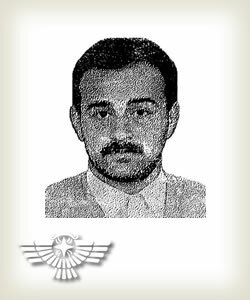 Martyr Amir was born in 1969 in Arbil, Iraq. He joined the ranks of Zowaa as a freedom fighter in the spring uprising of 1991. He was martyred on 6/19/1992 in the city of Ankawa by the spiteful enemies of our people after Zowaa won in local parliament elections in northern Iraq. Martyr Amir was a disciplined young man and an energetic nationalist, in which his bright future came to a halt, resulting in a loss to the Assyrian nation. He will always be remembered. Martyr Ghassan was born in 1957 in Shaqlawa, but spent most of his life in Basrah, south of Iraq. He came back to Shaqlawa before the March uprising and joined Zowaa in 1991. Ghassan Hanna Boya was known as being disciplined, poetic and beloved by his comrades. Ghassan was martyred on 1/17/1993, he was killed with 2 bullets in his home, where he lived alone. 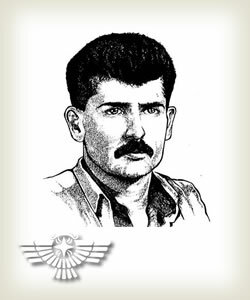 Martyr Samir was born in 1972 in Ankawa, Province of Arbil, Iraq. He was raised there and graduated from secondary school. 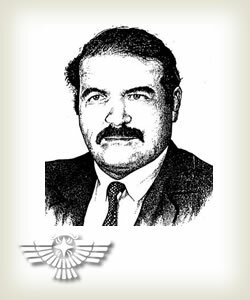 He joined the Assyrian Democratic Movement (Zowaa) in 1994, and worked within the Arbil region. He was known for his character, his humbleness and dedication to the cause of our Assyrian people. He was assassinated May 12, in Ankawa while defending our Assyrian students from a lawless gang. Martyr Zia Younadam Zia was born in 1973 in the village of Belmet in the region of Nahla, Iraq. He joined the ranks of Zowaa in the spring uprising of 1991. He was martyred on 12/17/1994, in the heart of the city of Arbil. He was killed during an attack on the Zowaa Central Media Bureau, where many of Zowaa quarters and offices were attacked by enemies of our nation, in Dohuk, Zakho, Aqra,.. etc. 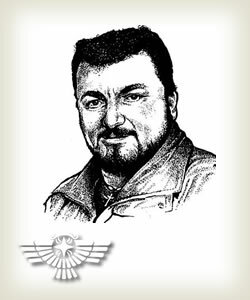 His short, vibrant life was not in vain, if we remember him and all those who sacrifice, so that other Assyrians may have freedom in life. Martyr Majid was born in 1974 in Baghdedah (Karakoush) province of Nineveh, and was a third year Engineering student. The repeated pressure of the Iraqi regime forced him to leave his village and join Zowaa. He was martyred while performing his duties in Feshkhabour on 1/12/1995. 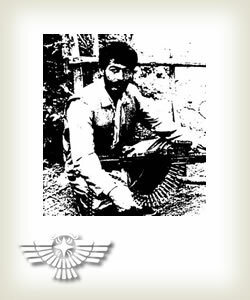 Martyr Kamal joined Zowaa after the March 1991 uprising. He was martyred on 2/7/1995 while performing his duties in Feshkhabour. 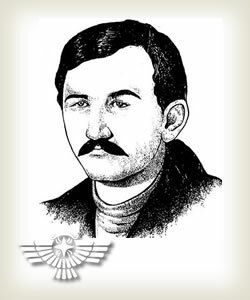 Martyr Mirza was born in the village of Gerbesh, district of Denarta, Iraq. 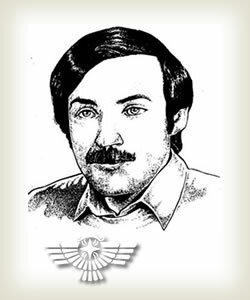 He joined the Assyrian Democratic Movement (Zowaa) from the start of the declaration of armed struggle against the fascist Baghdad regime. He was assigned the military commander of the Nahle ADM organization in 1982, and led military units in districts of Barwari Bala, Doski, Sapneh, Nahle and Dohuk. In 1991, he led one of the first units to enter the cities of North Iraq during the glorious insurrection of the people against the regime. That same year he assumed responsibilities of the ADM military commander for the Arbil Branch. He participated in the First ADM Congress in 1992. Also, in the Third Conference in 1994, when he had assumed responsibilities of Assistant director of the ADM Arbil Branch. He participated actively in putting out the fires of fighting between the leading Kurdish parties, and was a leader of the peace forces to separate the warring forces since 1994. The martyr was a secondary school graduate and married with two children (Atra and Akad). 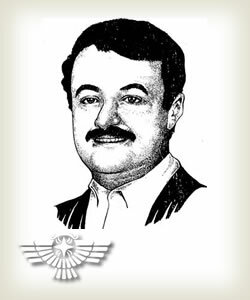 He was killed in Ankawa by assassins' bullets on May 15, 1996, while unarmed and defending the members of the Assyrian Student & youth union from the attacks of the spiteful for their successful activities. God bless his soul. Martyr Yousif was born in 1967 in Baghdad. He joined the ranks of Zowaa after the March 1991 uprising. In 1993, he became the ADM military commander for the Zakho district, and then was responsible for the ADM training center. 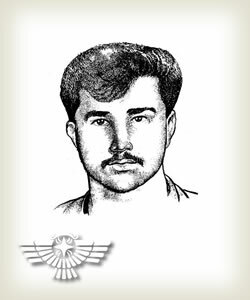 Yousif was martyred on 6/23/1995 while performing his duties in Feshkhabour. List of names of the Christian clergymen who were assassinated by the Iraqi Regime. Bishop Mar Youalah - Assassinated by poison in General Directorate of Security in 1972. Archbishop Quryaqos Moses of Ammadiyah Bishopric, assassinated by poisoning his coffee in 1973. Patriarch Mar Esha Shimon, assassinated by Iraqi Intelligence Agency (I.I.A.) in U.S.A in 1975. Priest Hanna Abdul Ahad Sher, assassinated in front of the church in Shaqlawa after the Great Friday Ceremony on April 28th, 1986. Curate Younan Kena, clergyman of the Church of the East, assassinated by poisoning his coffee in Kirkuk, Security Directorate in 1985. Archbishop Stefan Kacho of Zakho, assassinated by a military car accident chasing him in 1986. Vicar Shimon Shlemon Zaia from Bersivy village, was hanged in 1989, after returning from Diyarbakir camp in Turkey, believing the general amnesty issued by Saddam Hussain to all Iraqis who had fled from the chemical weapons attack during the Anfal campaign. Curate clergyman Zaia Bobo Dobato forced to flee from Mosul and died in exile in Urmiya, Iran in 1989.